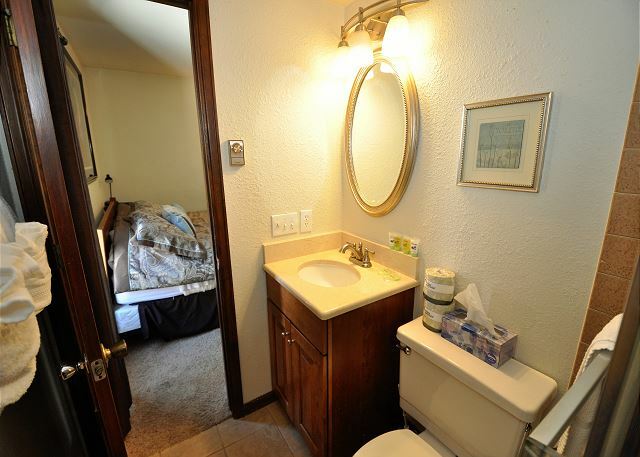 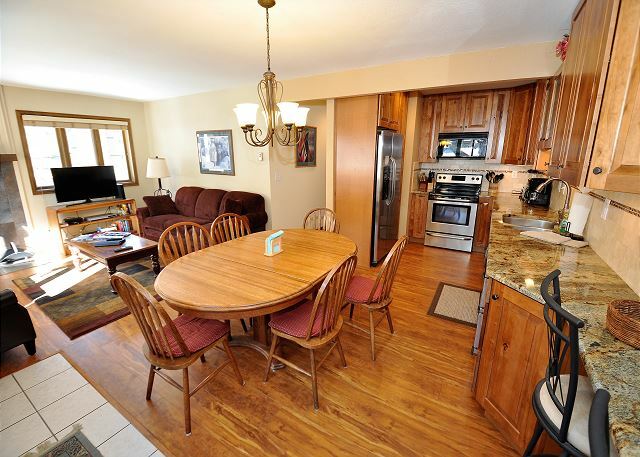 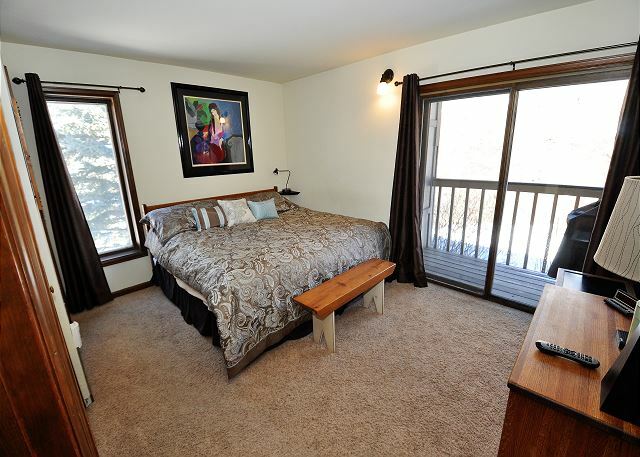 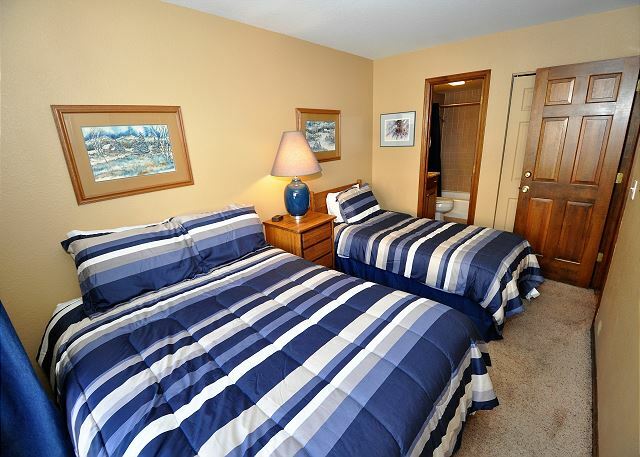 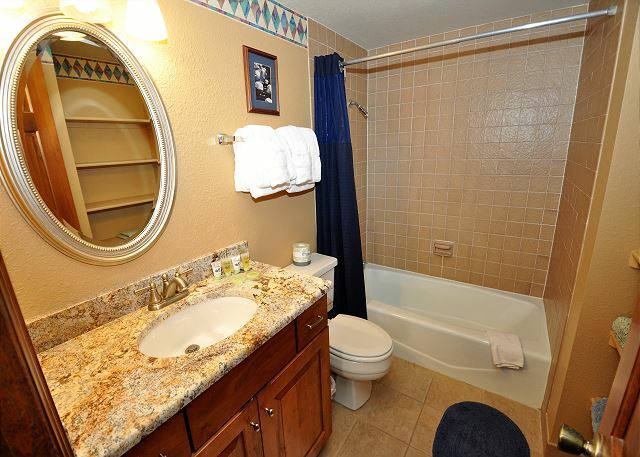 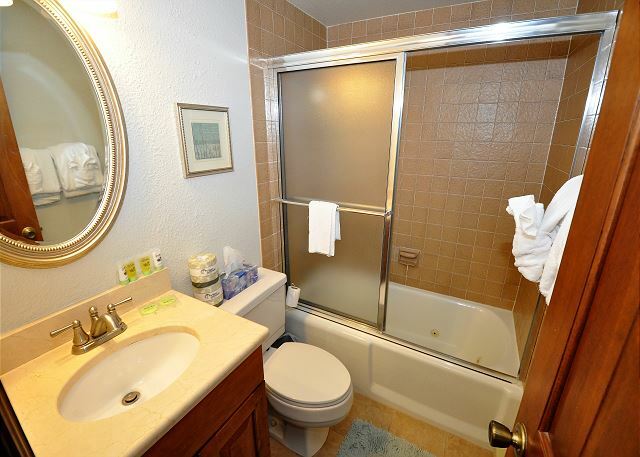 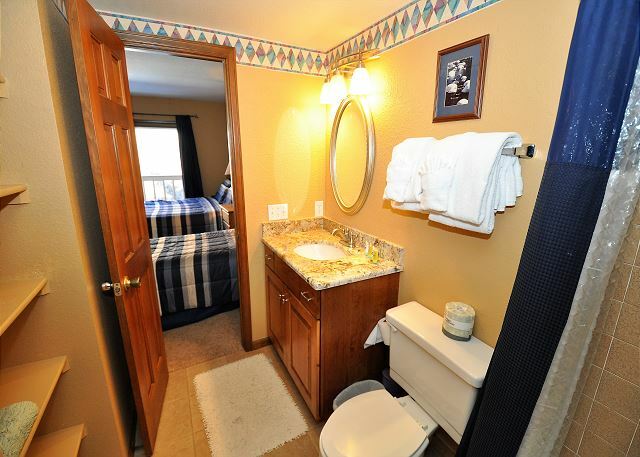 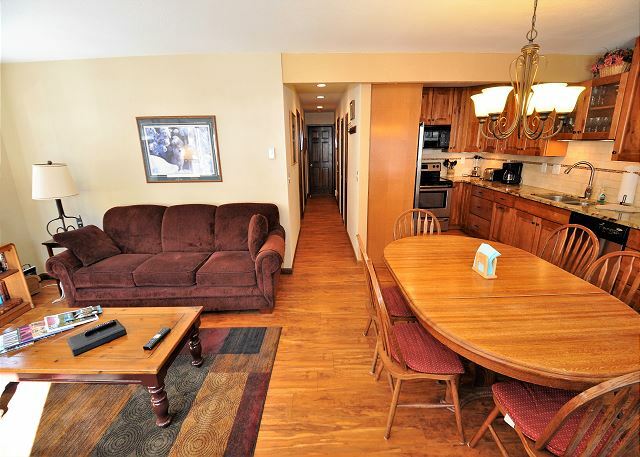 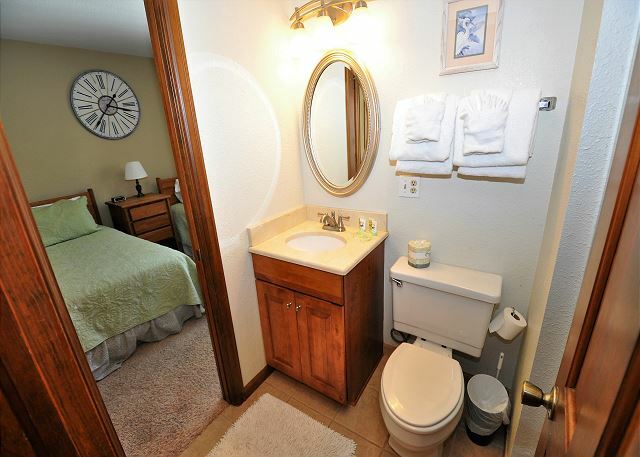 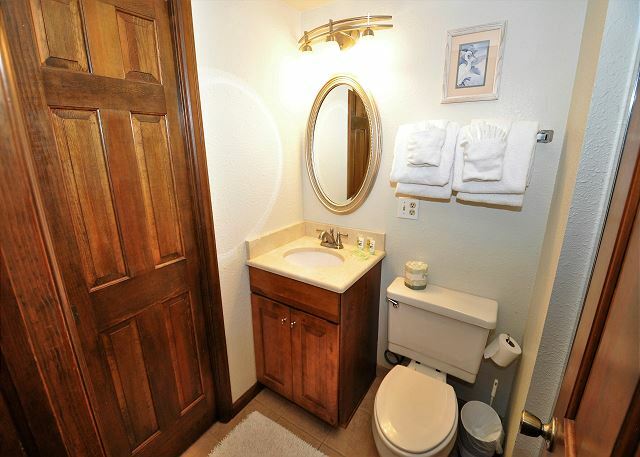 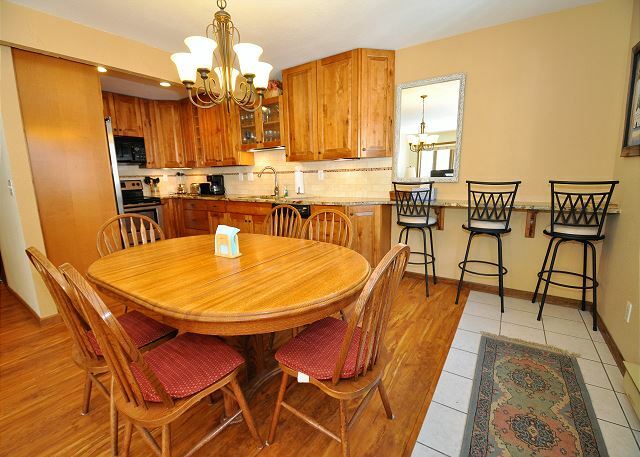 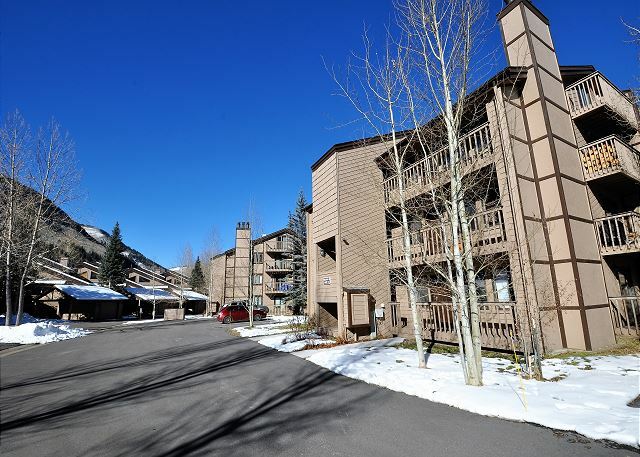 Lovely 3 Bedroom/3 Bathroom East Vail Condo #D9 with Hot Tub. 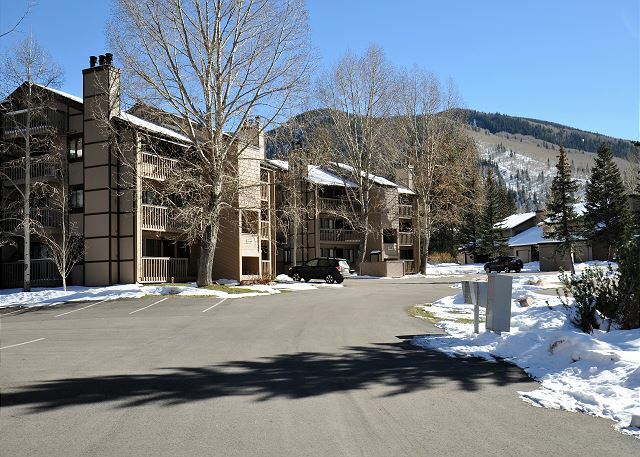 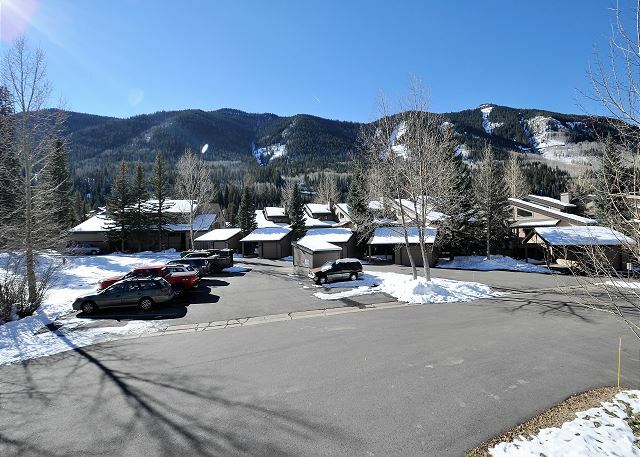 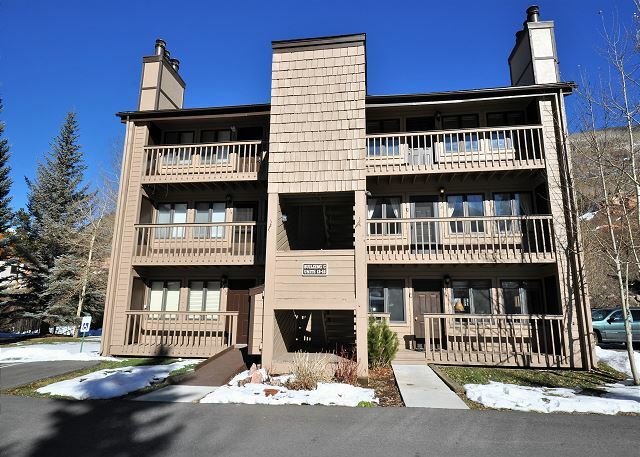 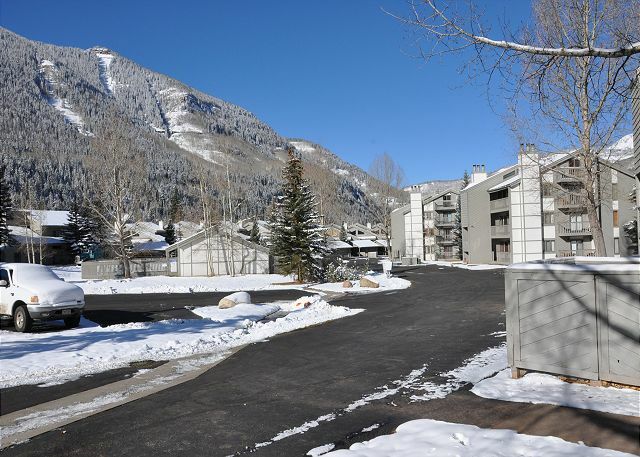 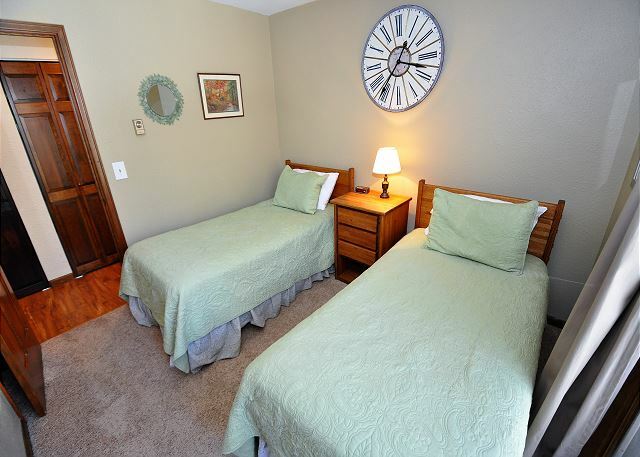 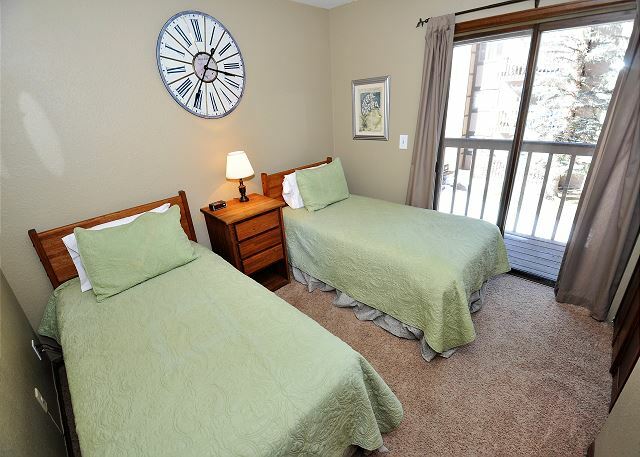 Managed by Gore Creek Properties, this gold rated condo in East Vail has a spacious 1,068 square feet of living space and a community hot tub which is a short walk from the condo and the complex has a summer pool - it is perfect for your summer or ski vacation and very affordable. 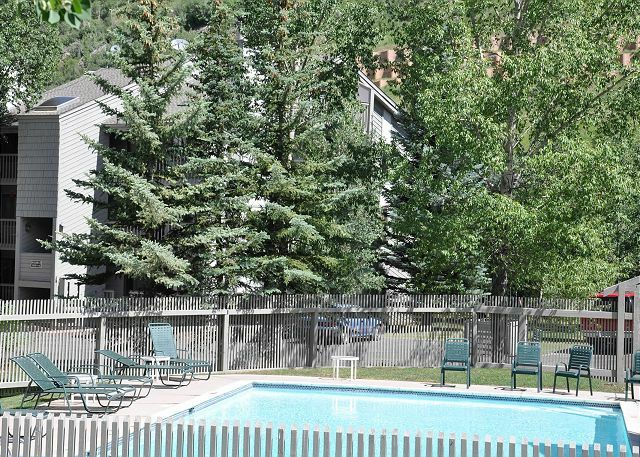 Gore Creek Properties also manages 7 other town homes in the Gore Creek Meadows complex should you require additional space to accommodate a large group. 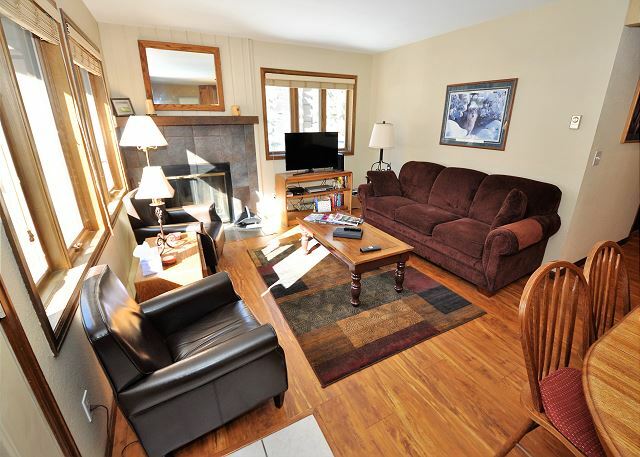 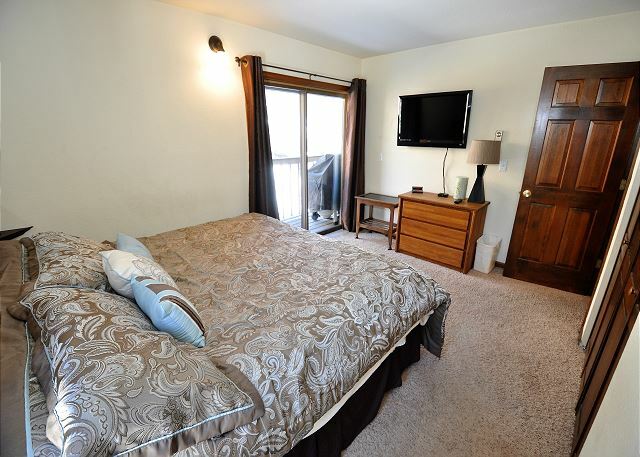 This condo has 3 large bedrooms, all with remodeled en suite bathrooms and a cozy wood burning fireplace in the living room. 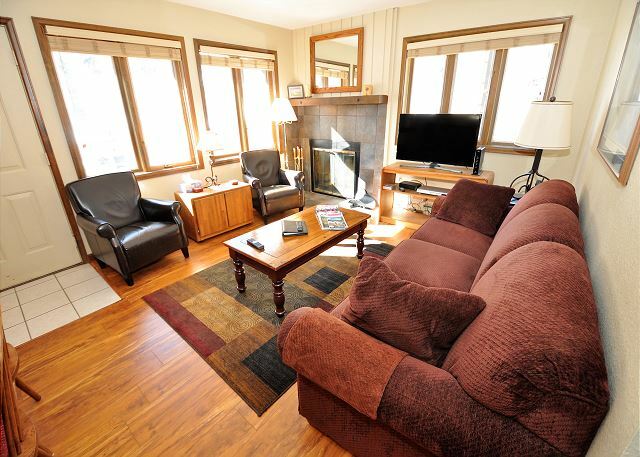 Firewood will be provided for your winter stay. 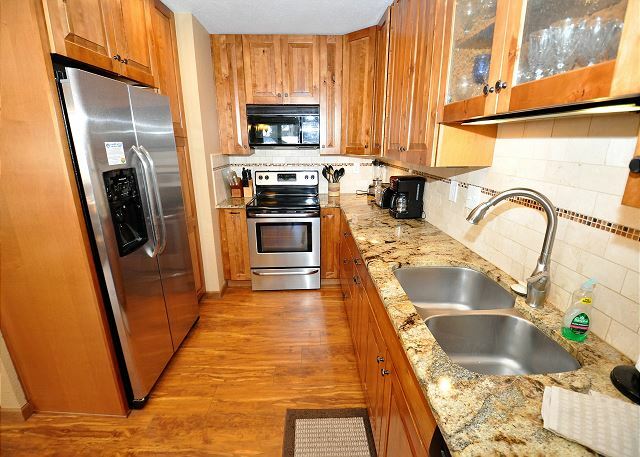 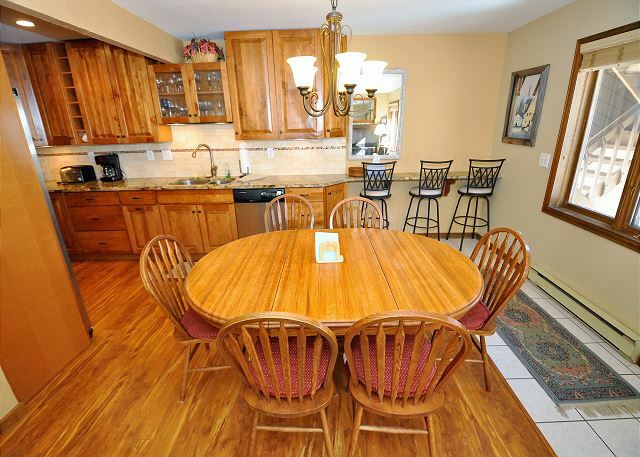 The condo has a brand new full granite counter kitchen, dining area and can sleep up to 7 people. 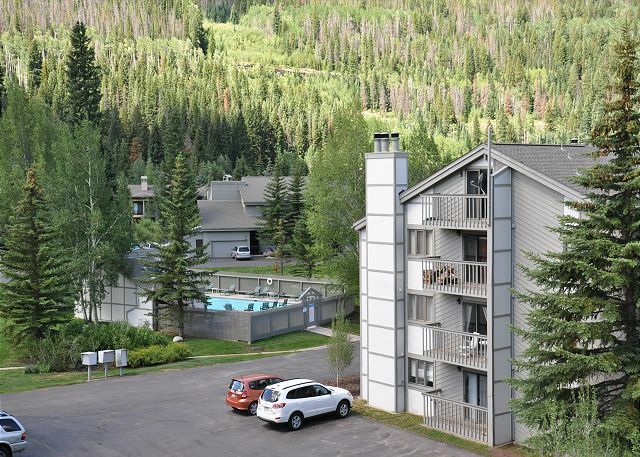 It is also on the free shuttle route into Vail and the bus stop is about 200 yards walk away. 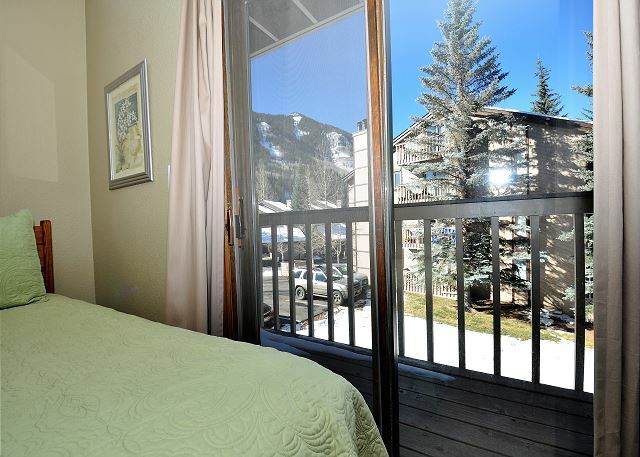 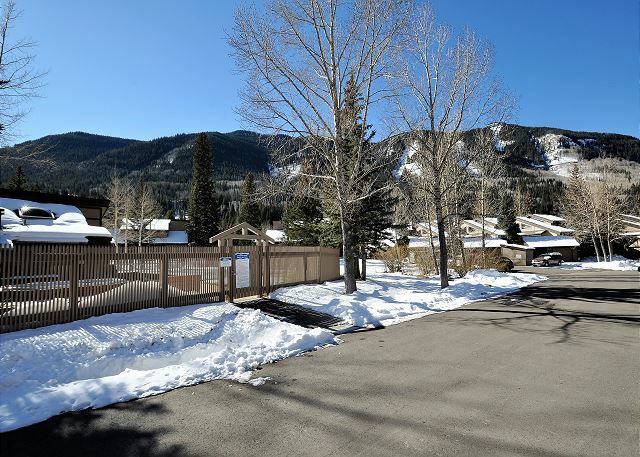 Come see the beautiful views of the Gore Range from this great condo! 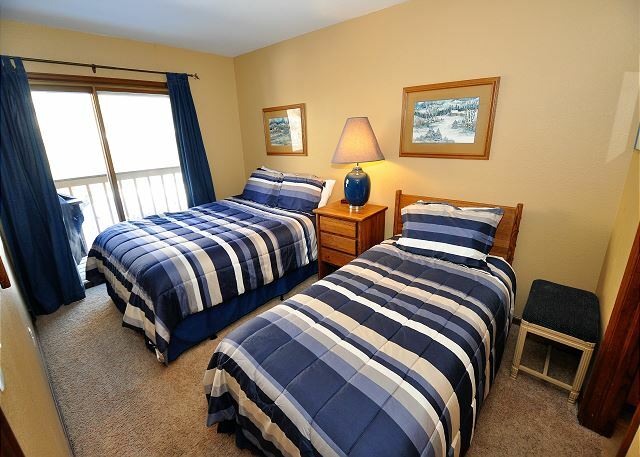 Free wireless Internet is provided for your stay. 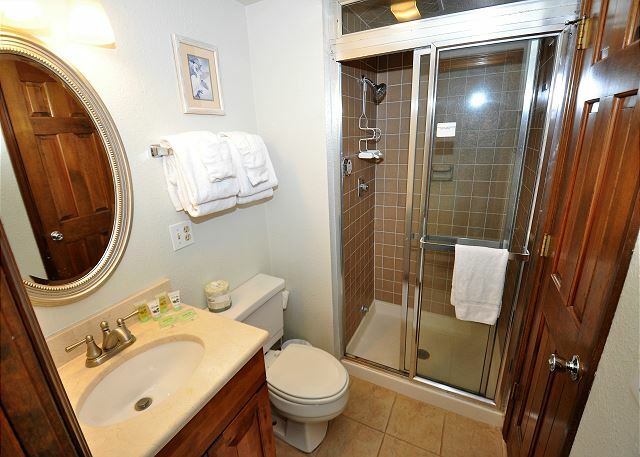 This property does not allow pets and is NON SMOKING.